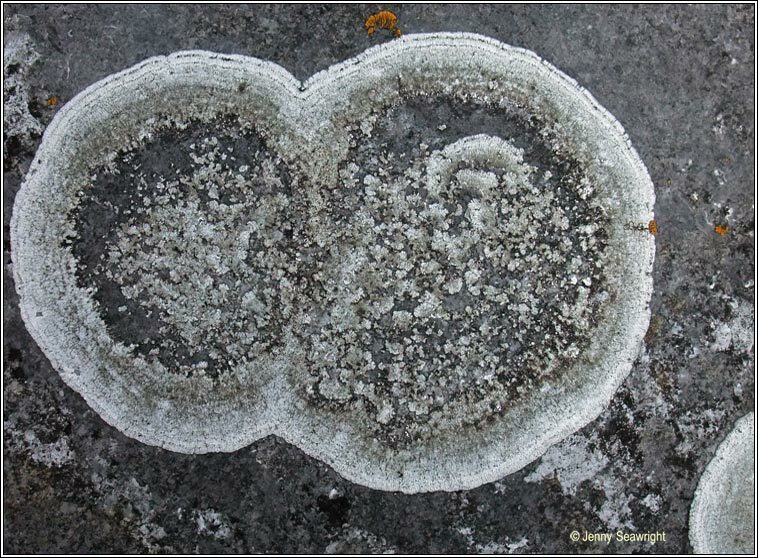 Photos: On gravestones and limestone pavement. Ireland. 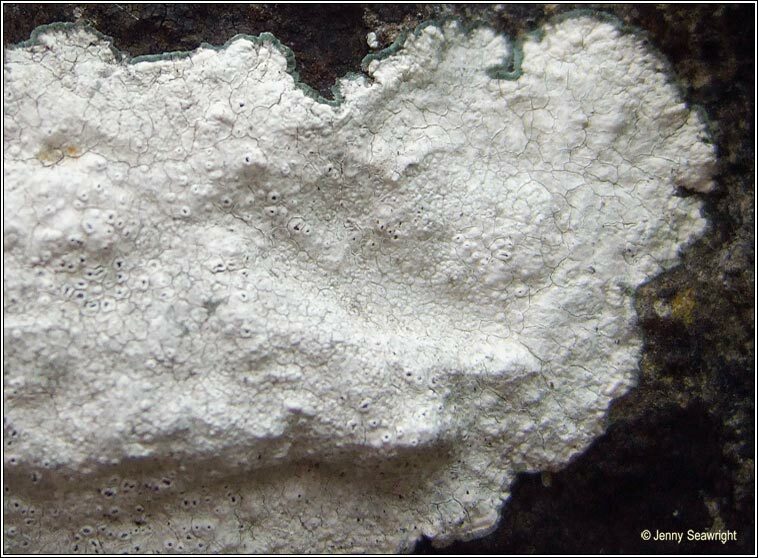 Thallus is smooth white to pale-grey, usually areolate and often surrounded by a zoned, cracked, grey prothallus. 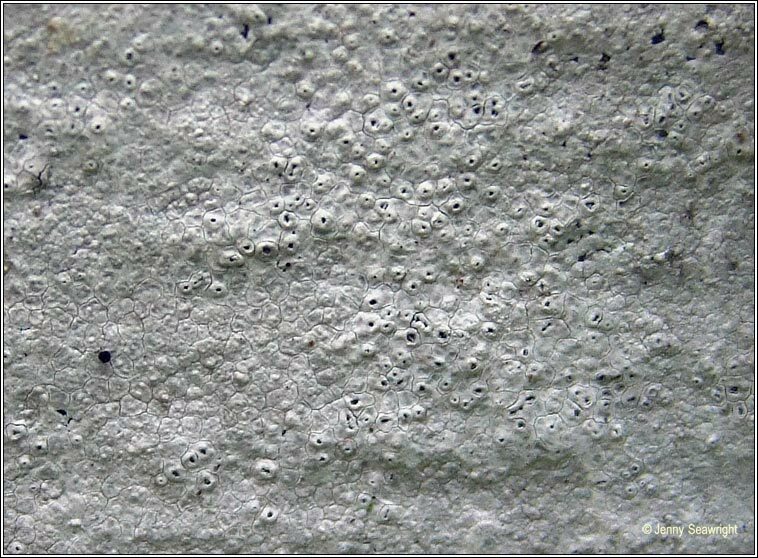 Black discs with distinct margin that usually does not persist as apothecium mature. 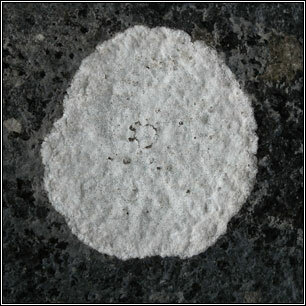 Common on limestone walls and tombstones but is not found on cement or mortar. Can form large patches to 40cm. diameter. 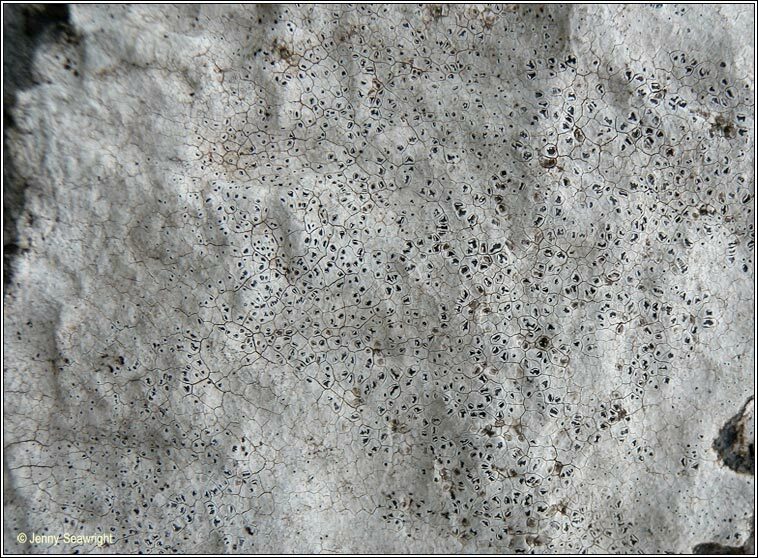 Aspicilia calcarea. On gravestones and limestone pavement.